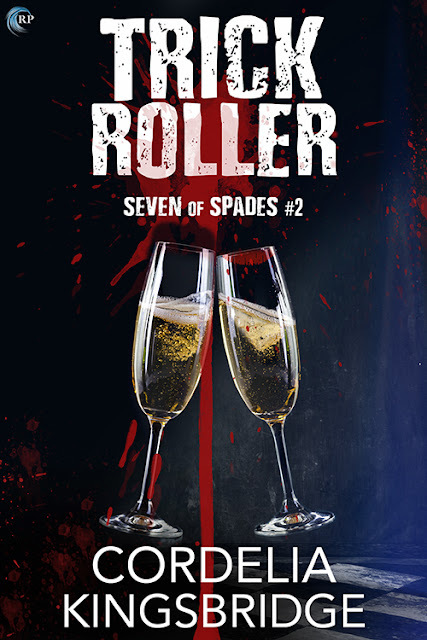 Thanks for checking out the blog tour for Trick Roller, the second book in the Seven of Spades series! It’s the height of summer in Las Vegas. 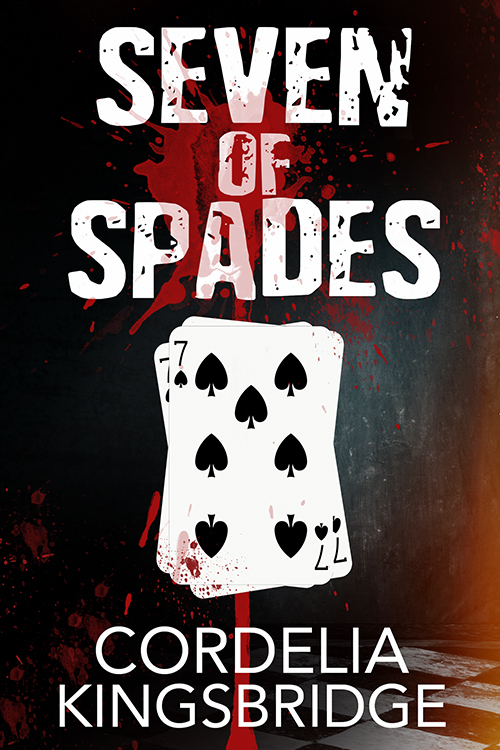 Everyone believes the serial killer Seven of Spades is dead—except Levi Abrams and Dominic Russo—and it’s back to business as usual. For Levi, that means investigating a suspicious overdose at the Mirage that looks like the work of a high-class call girl, while Dominic pursues a tough internship with a local private investigator. The one bright spot for both of them is their blossoming relationship. But things aren’t so simple. Soon Levi is sucked into a dangerous web of secrets and lies, even as his obsession with the Seven of Spades intensifies. Dominic knows that Levi isn’t crazy. He knows the Seven of Spades is still out there, and he’ll do anything to prove it. But Dominic has his own demons to battle, and he may be fighting a losing war. One thing is certain: the Seven of Spades holds all the cards. It won’t be long before they show their hand. Across the small table, Levi was leaning back in his chair, as casual and relaxed as he ever got—which was to say not very. His keen gray eyes were intent on Dominic’s face. The corner of Levi’s mouth tilted—a half smile that was for him what a broad grin would be for anyone else. Dominic took a moment to drink in the sight of it. “Oh, no,” Levi said, his eyes widening. Levi laughed quietly, and Dominic thrilled at the sound. Over the past few months, it had become his personal mission to make Levi laugh as often as possible. Levi was naturally solemn—not joyless, not by a long shot, but one of the most serious people Dominic had ever met. Bringing a smile to his face was a worthy feat in itself; getting him to laugh out loud was a deep source of pride. His face still alight with amusement, Levi drank the last sip of his Boulevardier, the bourbon cocktail Dominic had introduced him to. He ordered one whenever he and Dominic went somewhere with a full bar, though half the time Dominic had to explain to the server or bartender in question how to make it. “You’re great with Martine’s kids,” said Dominic, referring to Levi’s fellow homicide detective and closest friend. They both fell silent as their server approached to clear their plates. “Any dessert tonight, gentlemen?” she asked. Dominic hesitated and glanced at Levi. After their server left, Dominic sat back in his chair with a warm sense of contentment. They were at Grape Street Café in downtown Summerlin, and on a Saturday night, there wasn’t a single open table in the contemporary, brick-lined dining room. The food had been great, the company incomparable. His eyes traveled over the man in front of him. Levi had a narrow, wiry build, his clothes concealing most of the incredible, lean musculature carved by over a decade of intense dedication to Krav Maga. He’d been growing out his curly black hair a bit, and his razor-sharp bone structure gave him a hollow-cheeked look that Dominic adored. Las Vegas has never seen a serial killer like the Seven of Spades. The self-styled vigilante is on a mission to cut down the wicked and treacherous, and Sin City has no shortage of targets for their bloody wrath. What happens in Vegas . . . ends with the Seven of Spades’s calling card on a grisly corpse. Standing against the killer are Levi Abrams, a dedicated homicide detective locked in a constant struggle to restrain his own dark side, and bounty hunter Dominic Russo, a charming rogue with a heavy secret weighing on his shoulders. The hunt for the Seven of Spades sends Levi and Dominic on a collision course, igniting a passionate relationship forged in conflict and sealed with blood. Together they’re stronger than the sum of their parts, but a wily, elusive serial killer isn’t the only threat that will strain their bond to the breaking point. Ante up, because the Seven of Spades is all in. Are you? Cordelia Kingsbridge has a master’s degree in social work from the University of Pittsburgh, but quickly discovered that direct practice in the field was not for her. Having written novels as a hobby throughout graduate school, she decided to turn her focus to writing as a full-time career. Now she explores her fascination with human behavior, motivation, and psychopathology through fiction. Her weaknesses include opposites-attract pairings and snarky banter. Away from her desk, Cordelia is a fitness fanatic, and can be found strength training, cycling, and practicing Krav Maga. She lives in South Florida but spends most of her time indoors with the air conditioning on full blast! Riptide giveaway... To celebrate the release of Trick Roller, one lucky winner will receive a $15 Riptide credit! Leave a comment with your contact info to enter the contest. Entries close at midnight, Eastern time, on February 3, 2018. Contest is NOT restricted to U.S. entries. Thanks for following the tour, and don’t forget to leave your contact info! Sounds like I need to read the first to fill in the gaps. Thank you for the excerpt! It sounds great. The first book in this series was GREAT! Can't wait to read this one!